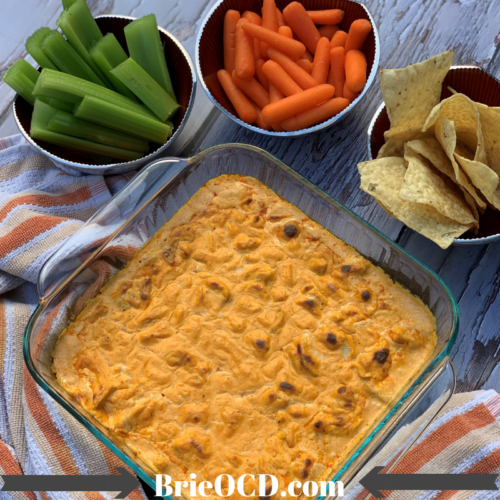 This Frank’s Red Hot inspired buffalo chicken dip is low carb, low cal, low fat and protein packed! Best news of all? It’s delicious, gluten-free and both keto and crowd friendly! What more could you ask for?! This is the perfect appetizer, side snack for any game day festivities! I always make this during football season or even March Madness when all the college hoops games are on. It is super easy to make and is always a slam dunk! 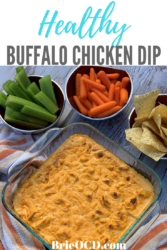 Per serving this buffalo chicken dip has 163 calories, 9g fat, 2.5g carbs and 15g protein. 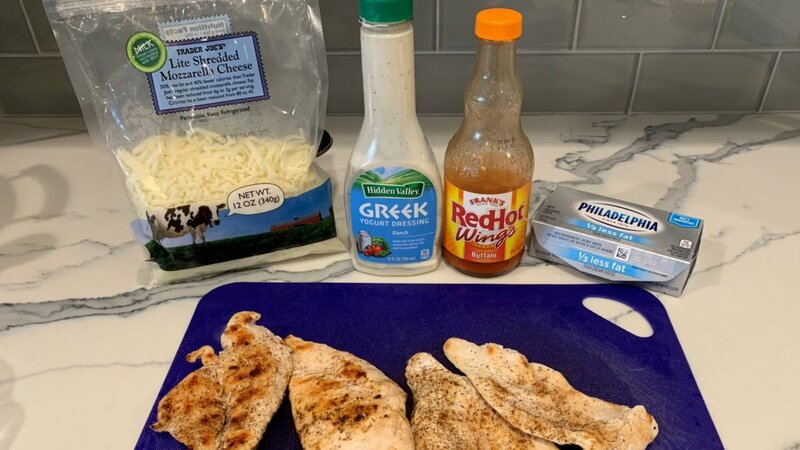 I used 1/3 less fat cream cheese, lite shredded mozzarella and greek yogurt ranch dressing to make this a slam dunk in the health department. Don’t even bother telling your friends that because they won’t know the difference! As mentioned above I used 1/3 less fat cream cheese. Do NOT use fat free cream cheese because you cannot bake with it! (believe me, I’ve tried it!). You also need to make sure that you give the cream cheese enough time to soften. I usually leave it out on my counter about an hour before I plan to use it to give it enough time to get to room temperature. 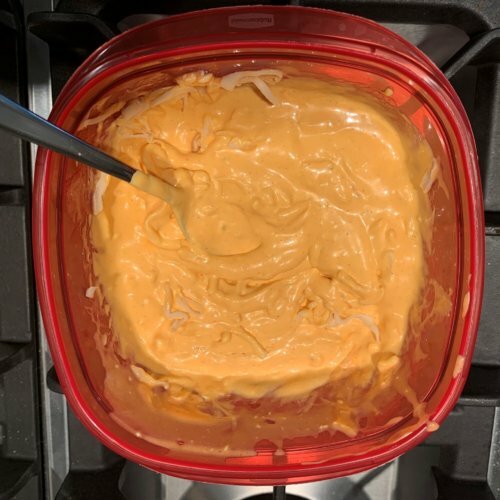 If you rush it (like I have) you can also use an immersion blender (click here to view/buy mine) to help get rid of the chunks once you mix it with Frank’s Red Hot. It works like a charm BUT it is definitely better if you give it enough time so soften on its own! I serve this with celery sticks, carrots and tortilla chips! Celery sticks are the most keto option available however they are all delicious! When I think of what to serve I immediately think of what you would want with buffalo chicken wings or a wrap! These all fit the bill! a reduced fat, protein packed game day snack! leave cream cheese out on counter until it comes to room temp. preheat oven to 350 degrees. 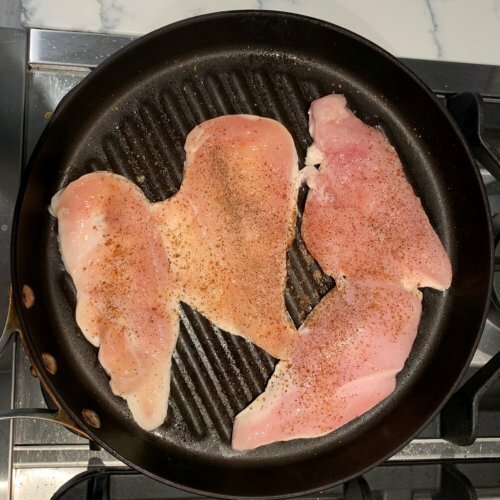 season chicken with salt, pepper & creole seasoning (or your favorite spices) and cook on the grill or on a grill pan until the chicken reaches an internal temp of 165 degrees. You can also buy a rotisserie chicken and use that instead for ease. 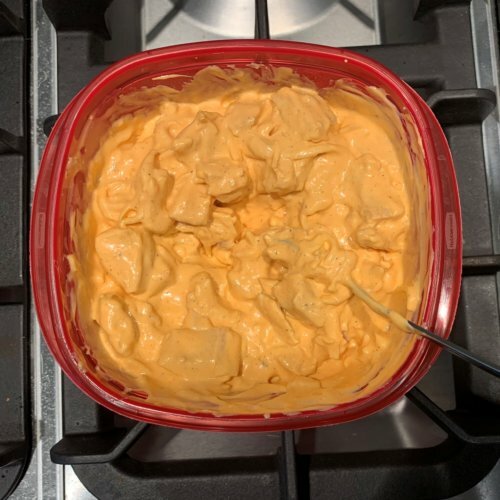 while chicken is cooking, combine, franks red hot, cream cheese, ranch dressing and cheese in a medium mixing bowl or tupperware. stir. let chicken cool and cube. add chicken to the sauce mixture and stir. lightly spray a 1.5qt baking dish with cooking spray. 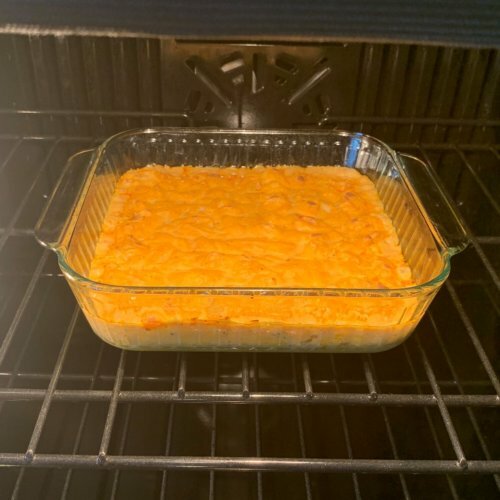 add mixture to the baking dish and bake for approximately 20 minutes or until hot and starts to brown on the top. serve with carrots, celery and tortilla chips! Enjoy!